Whomp whomp. 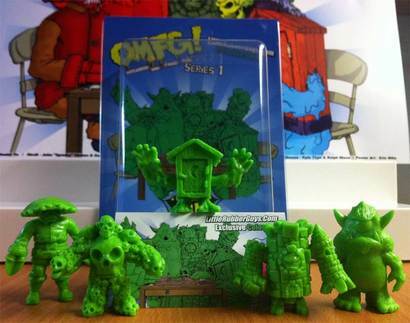 There're no OMFG Series 1 (Green/Little Rubber Guys)s for sale. October Toys/Little Rubber Guys exclusives release of the Series 1 OMFG figure set. Features a unique sliding card back for easy access to the toys and the possibility to repack them between play sessions. The green as with the other sets in the series is based on a specific Pantone color, in this case Pantone 802 2x Green.